Vega was born in Santiago, Chile, with a father who owned a printing business. At age 8, teachers discovered that Vega had an aptitude for opera singing, which led to singing and acting in local productions. This was a safer space away from the all-boys school where Vega was bullied for being ‘effeminate’. Performing at a Santiago nightclub allowed experimentation with glam and goth. At first androgynous, but increasingly feminine, by age 15 she identified herself as trans, and her family was immediately supportive. Her father later appeared with her on television talk shows. In 2011 Daniela debuted in La mujer Mariposa, a one-woman stage show based on her own experiences of transitioning. This piece included her singing, and ran for eight years in Santiago. Her first movie role was in La visita, 2015 where she played a trans woman at her father’s wake. She was approached by film director Sebastián Lelio who was developing a film about a trans woman, but actually did not know any such in Chile (Lelio lives in Berlin). At first she was a consultant to the film, but then it became obvious that she was ideal to play the lead role. The film became Una mujer fantástica (A Fantastic Woman), 2017. The protagonist must struggle against rejection and suspicion after her boyfriend dies. 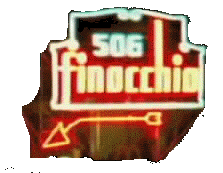 The film won much international acceptance including a Golden Bear at the Berlin International Film Festival, Best Actress at the Havana Film Festival, and Best Foreign Language Film at the Academy Awards. Daniela was also a presenter at the Academy Awards – the first openly trans person to do so. Later in 2017 Daniela played a cis woman in Un domingo de julio en Santiago (A Sunday in July in Santiago). Jonathan Romney. 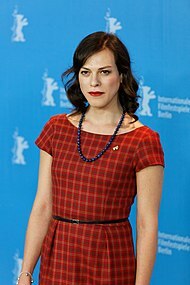 “Daniela Vega: the transgender star lighting up the film industry”. The Guardian, 18 Feb 2018. www.theguardian.com/film/2018/feb/18/daniela-vega-transgender-star-film-industry-a-fantastic-woman-interview. The Spanish word 'mariposa' means 'butterfly' but it is also used to mean 'queer'. So La mujer Mariposa can mean either A Butterfly Woman or A Queer Woman. ES.Wikipedia has a very short account of Daniela's transition: "At age 15, Vega identified herself as a trans woman to her family, who immediately supported her." While EN.Wikipedia is otherwise almost the same as ES.Wikipedia, even this little has disappeared.